Mrs Crickmore has taken some of the frogspawn from Penguin Class home to keep an eye on it over the holidays. Here is a picture to show the progress so far. 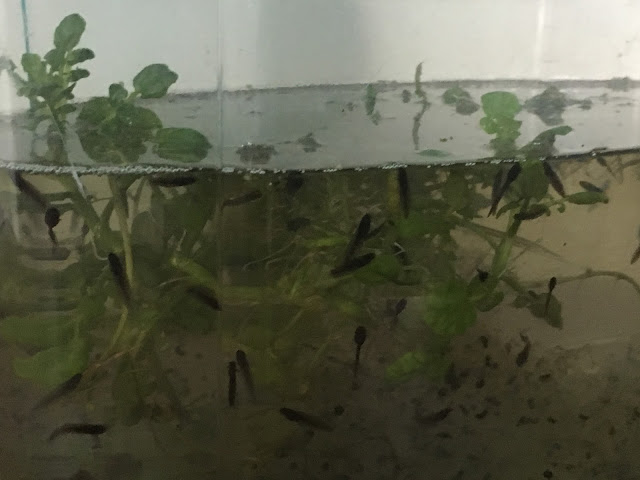 Spot the tadpoles.